After my incredible and inspiring experience in Central America during December 2013 and January 2014, I simply had to return! 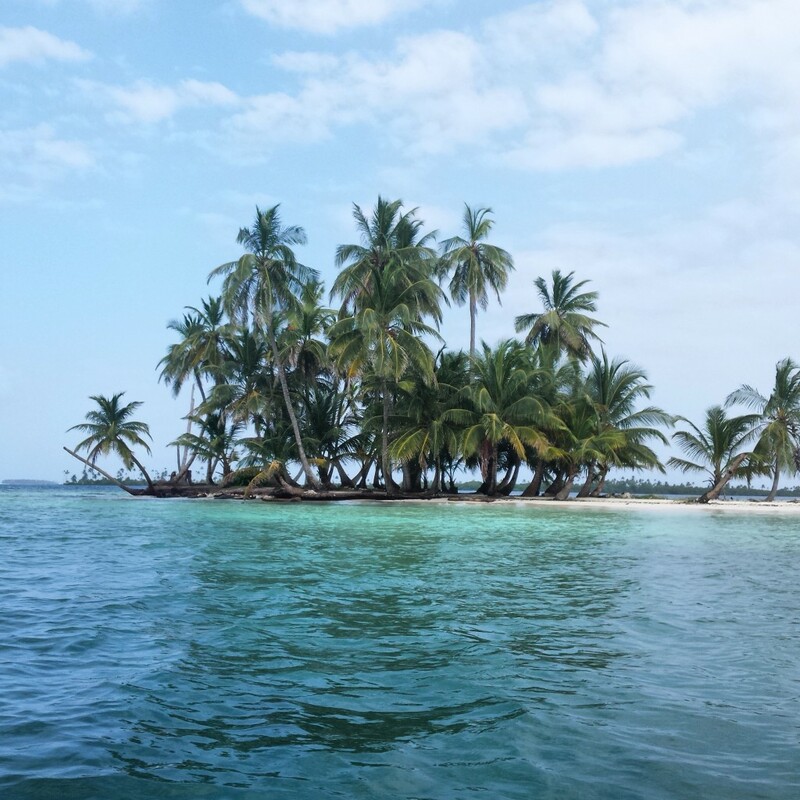 During my stay at Bocas del Toro, I saw signs for tours of the San Blas Islands, but, unfortunately, I didn’t have enough time. 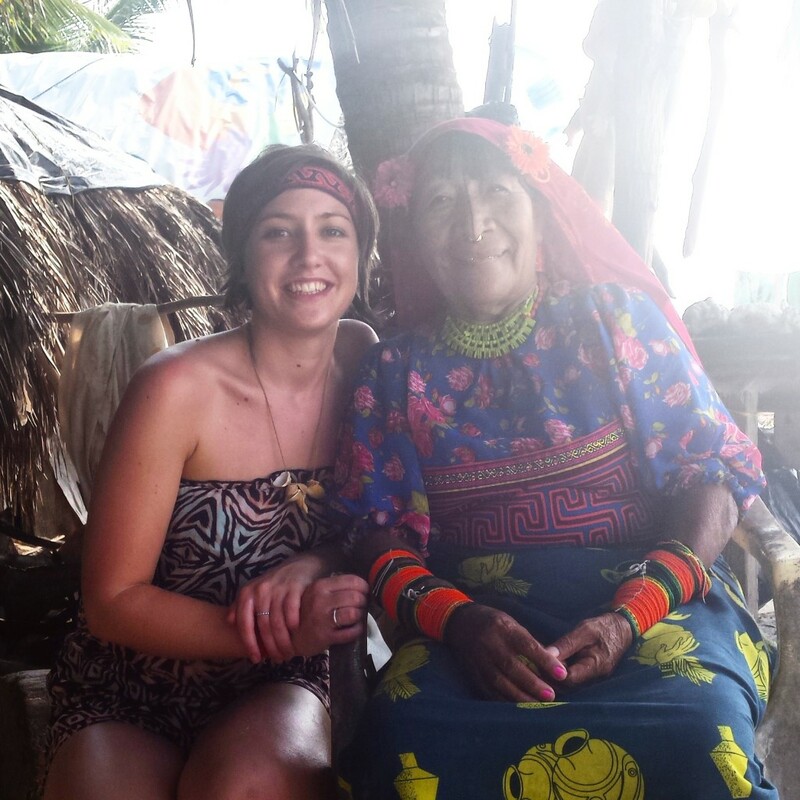 In two of my final year nutrition modules, I learned about the Kuna Indians from the San Blas Islands, Panama. They have a very high consumption of cocoa (in the form of a drink made from pure cacao, bananas, water and sometimes spices) and a very low incidence of cardiovascular disease. Some scientists believe that the Kuna Indians’ exceptional cardiovascular health may come from their particularly high consumption of cocoa. 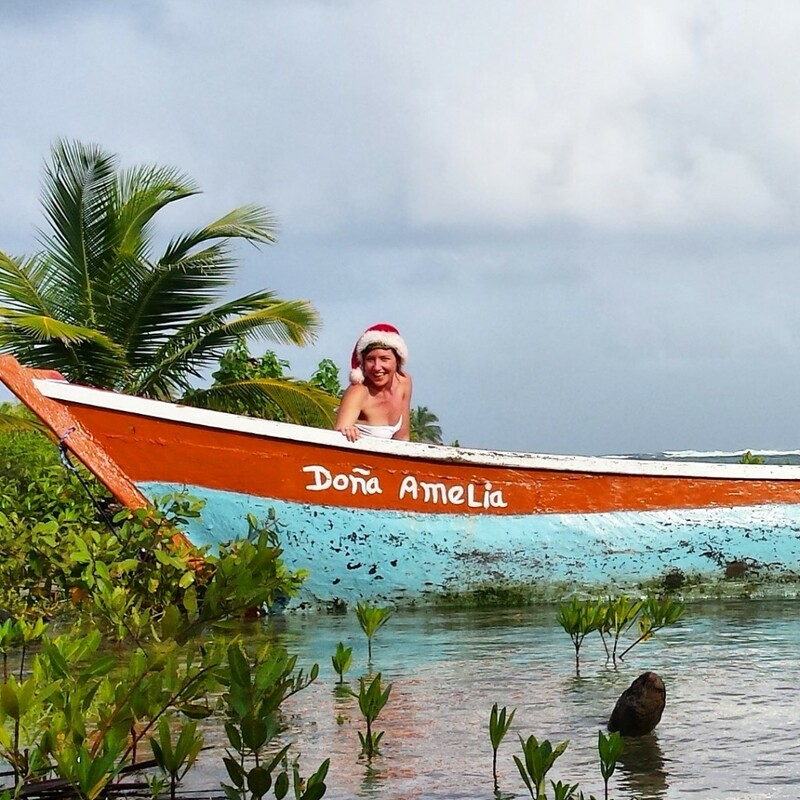 It just so happens that these islands are some of the most beautiful in the world, so I decided to spend Christmas there, before returning to La Iguana Chocolate. The Kuna Indians are an indigenous tribe and self govern the 378 (49 inhabited) stunning, unspoiled islands. They are famous for their beautiful textile appliqué art handmade by the women (called molas). I also have a passion for tribal art and, in particular, textiles, so this really was a dream location for me to visit. It can take up to 16 hours to complete one piece! The designs are inspired by local birds, sea animals and flowers. 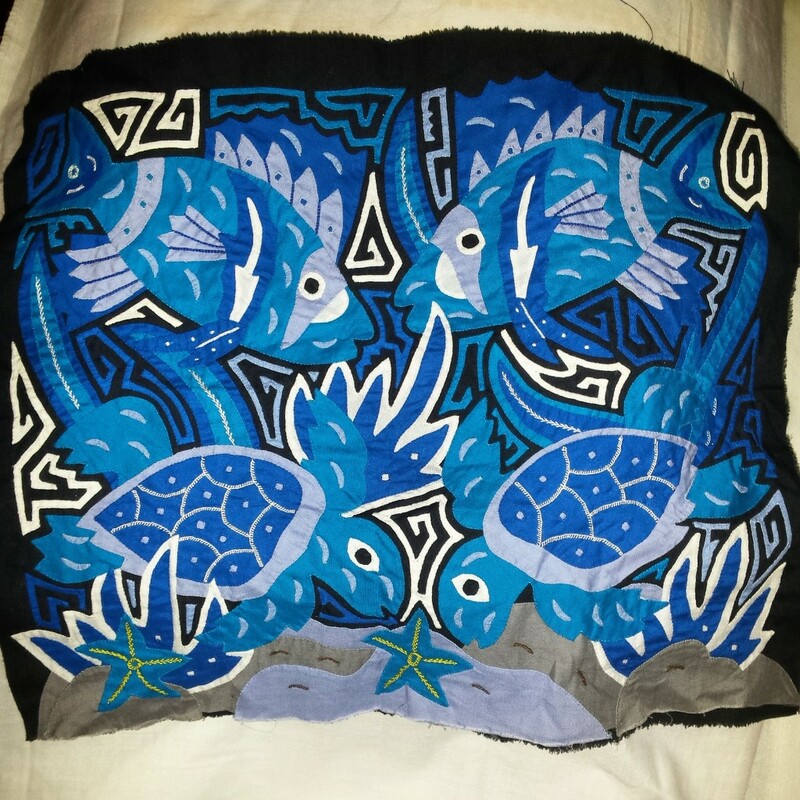 The women wear the molas on their blouses and sell them as pieces of fabric for tourists to buy and convert into pillows or simply to hang on the wall. The molas, as well as handmade beaded jewellery and coconuts, are a major part of the Kuna Indian economy. Since San Blas are proudly protected by the Kunas, I couldn’t just turn up with my backpack. I would need a boat. I would also need permission from the Kunas to visit the islands. So I decided to go on a tour, and found one which spent most of the time on the islands, rather than on a boat, because one of the owners of the company is a Kuna Indian! I spent four days (including Christmas Day) travelling from Panama City to Capurganá, Colombia stopping on a number of islands. We swam, snorkelled, ate plenty of fresh seafood (including the biggest lobsters I’ve ever seen!) and, to my delight, we got to spend a lot of time with the very friendly and welcoming Kunas. Our guide also organised a wonderful Christmas dinner complete with a Secret Santa gift swap of handmade sea shell necklaces and local Kuna art. Although many of the Kunas with whom I spoke had heard about the cacao drink, unfortunately none of the Kunas I met drank it themselves. 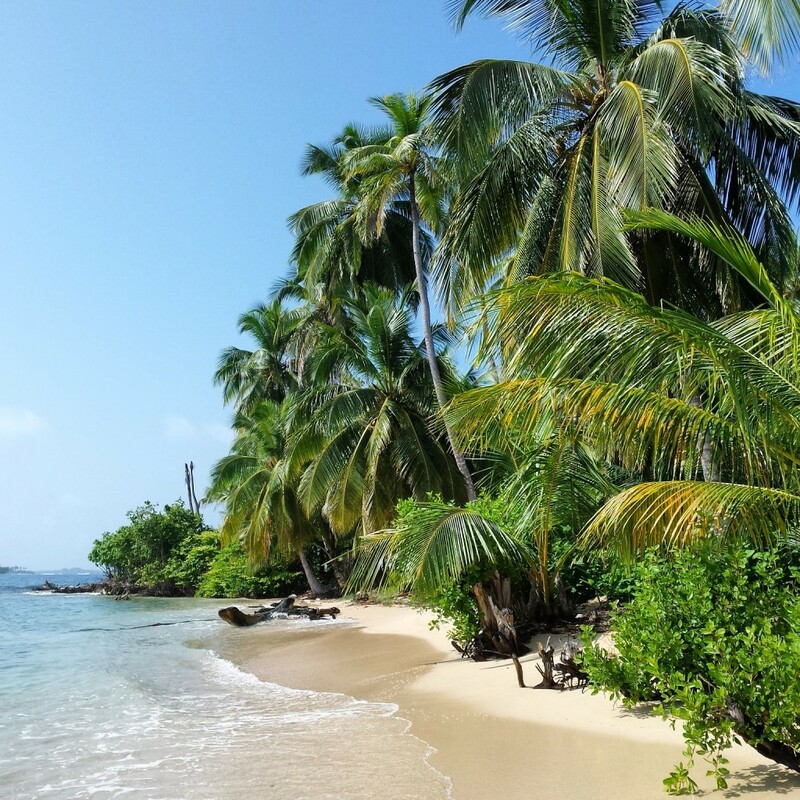 The tour finished in a gorgeous beach town in the very north of Colombia, Capurganá. This town is only accessible by boat or by plane (from Medellin only), so is fairly safe and quiet. I decided to stay there for a week for some quiet beach time. All the other guests from the tour moved south, but since I was going to be travelling up north to Costa Rica soon, I stayed put. I have to admit, the fact that no one spoke English in this town made it a little challenging! I made friends with a lovely Colombian lady who was interested in my chocolate stories and we made Kuna Indian Hot Chocolate together in her kitchen. It wasn’t on San Blas with the Kuna Indians, but it still made me very happy to share this with such a welcoming woman! I then left to travel north to Costa Rica, which took about 2 days and was rather eventful! 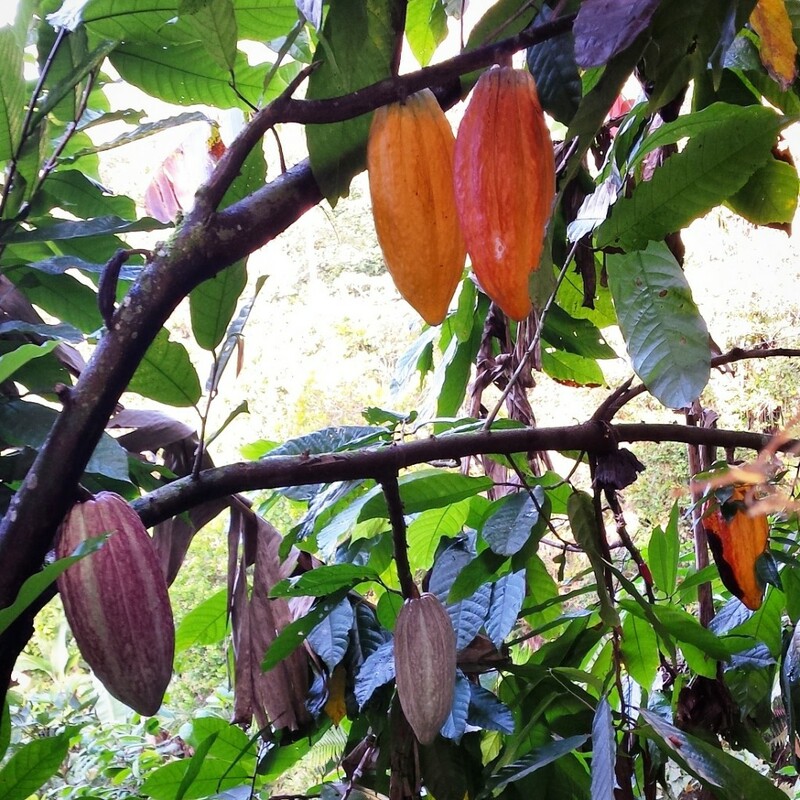 As I arrived, I could smell chocolate in the air and saw trees abundant with multicoloured cocoa pods. 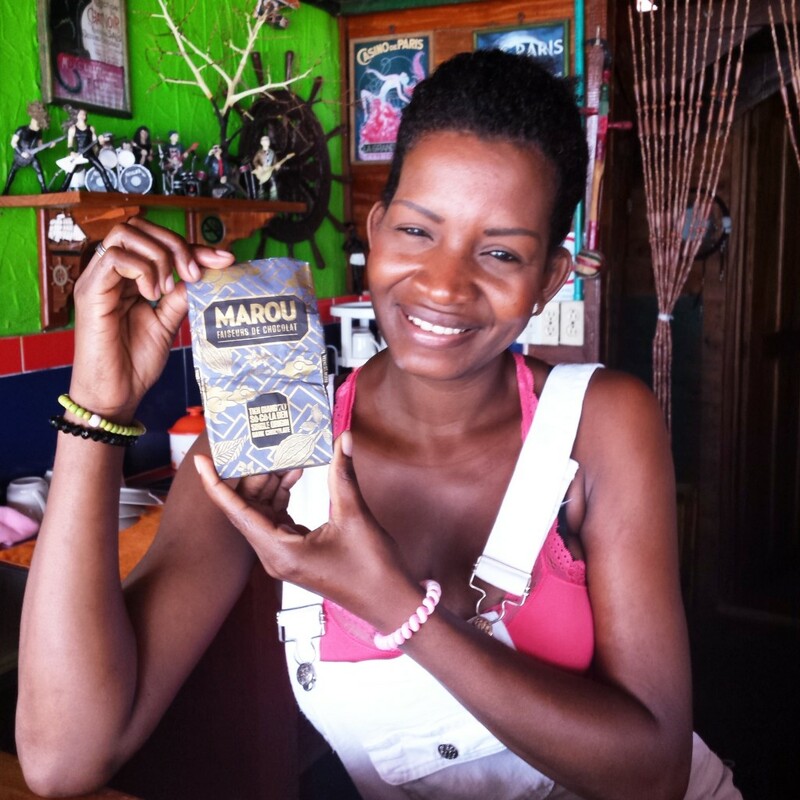 I was greeted after the long journey with a hug from Jorge, the chocolatier, chocolate maker and cacao consultant of La Iguana, and so began the La Iguana life for the next few days. I spent my days in the beautiful rainforest waking up to a very healthy and satisfying breakfast of rice, beans, fresh eggs, fresh fruit and Costa Rican coffee, followed by 5 hours of volunteer work. 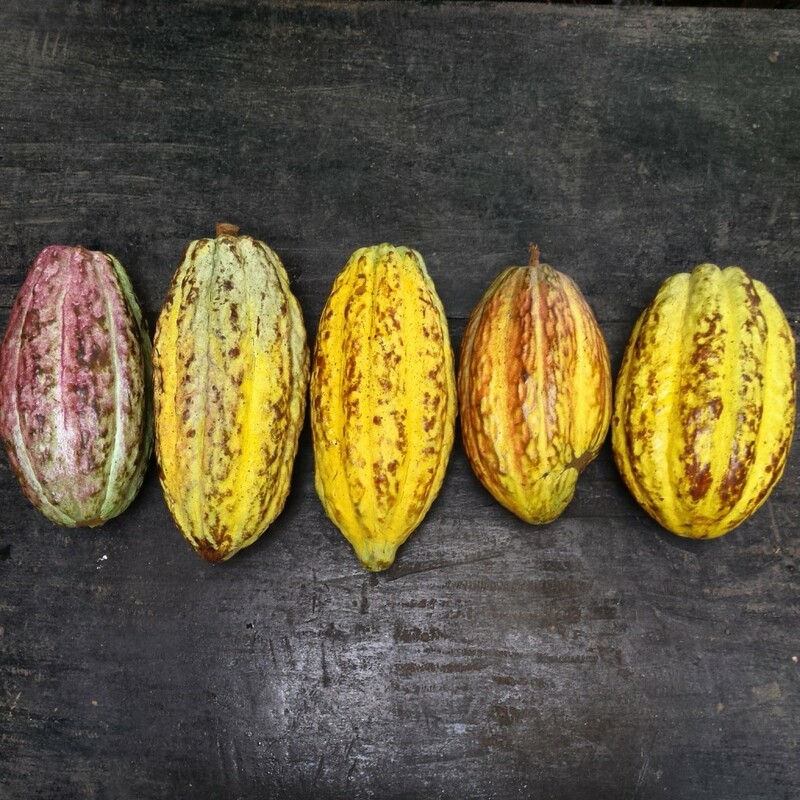 The work involved roasting, winnowing and grinding cocoa beans, making chocolate, making truffles flavoured with home-grown and local ingredients, planting seeds, harvesting produce from the La Iguana gardens. 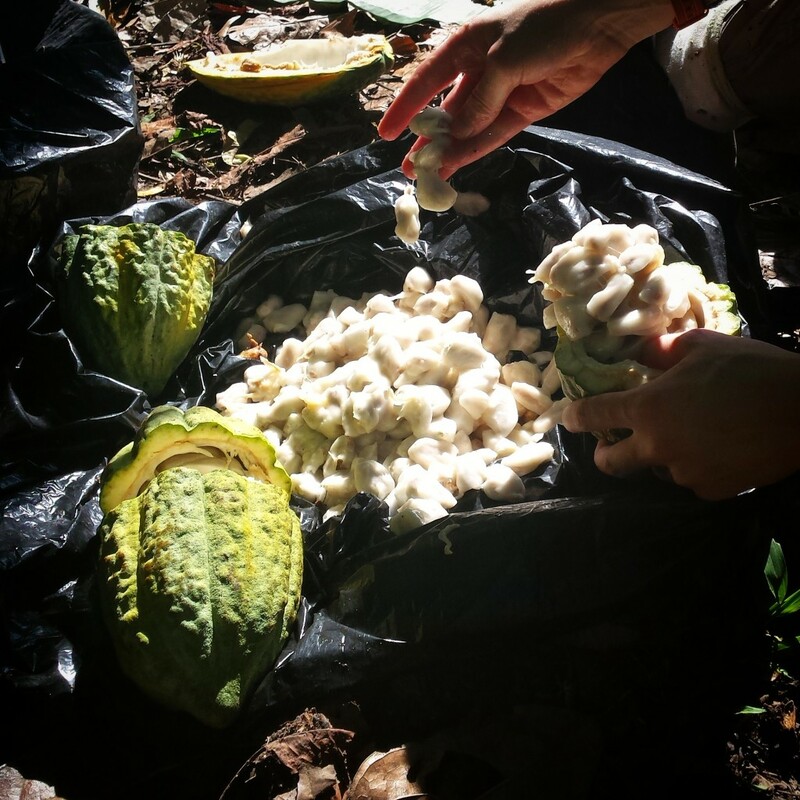 We also took a trip to the La Iguana cocoa farm (a 40 minute trek away) to harvest some fresh cacao! 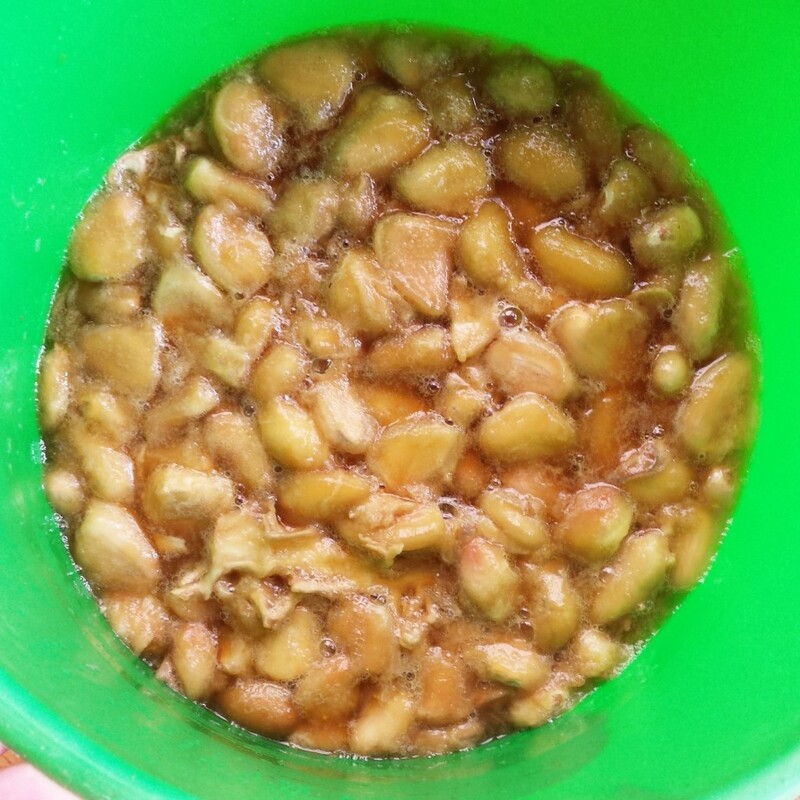 I spent the afternoons walking to the village for a beer and practise my Spanish with the locals, going swimming and having a barbecue at the riverside, carrying out some of my own cacao experiments (such as brewing “chicha” – cacao alcohol! ), helping prepare meals or just chilling in a hammock on the yoga deck. 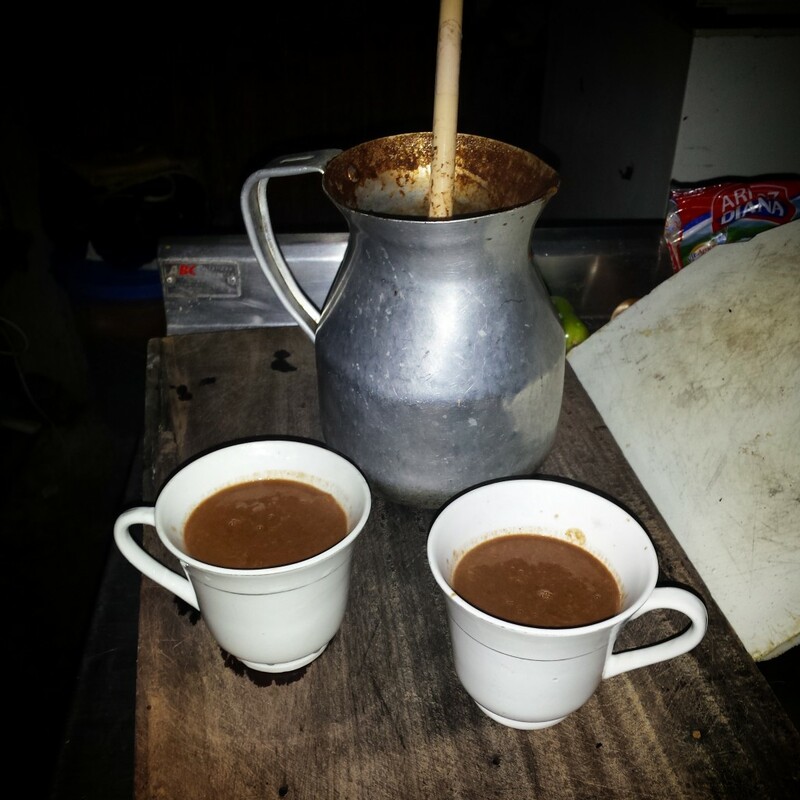 We drank the chicha on my last night and it was absolutely delicious! There were some bubbles and a tiny bit of alcohol (probably around 2%) but the main enjoyment was the delicious flavour of the cacao fruit. I left La Iguana a couple of days before my flight so that I could spend a day on the beach at Manuel Antonio before returning to cold, dark England. The whole trip was an absolute dream. 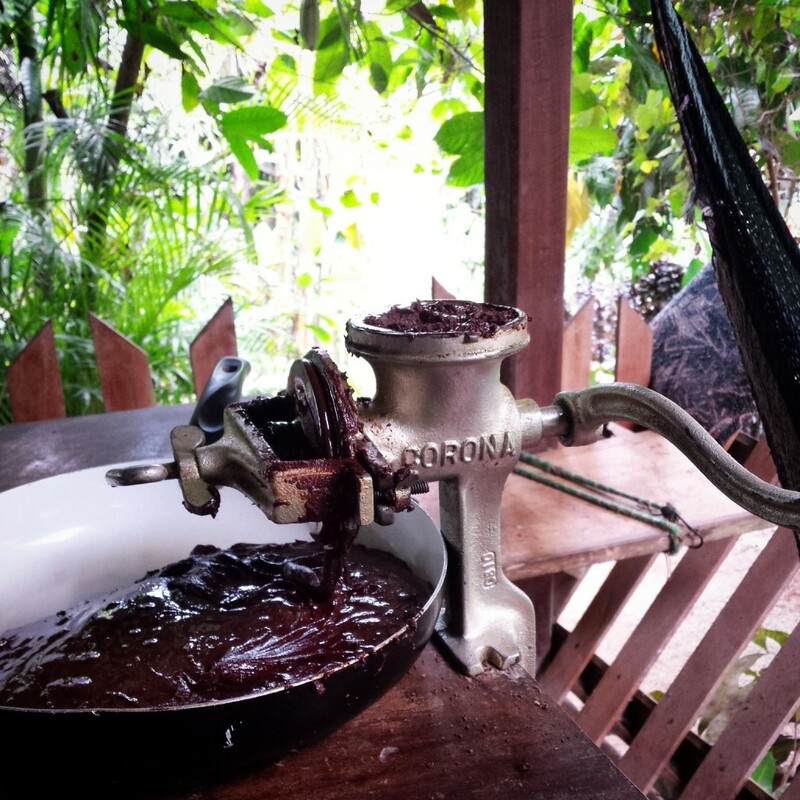 I have so much love for Central America, cacao and the Latin American culture. 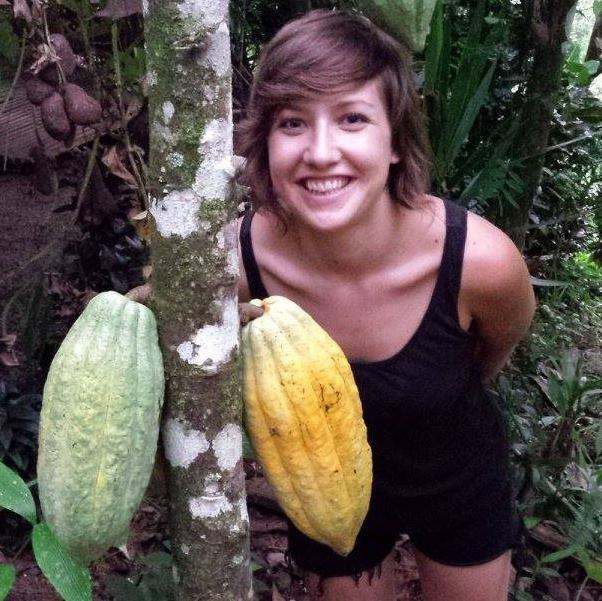 I hope to return to Central America again at the end of the year for another cocoa adventure!